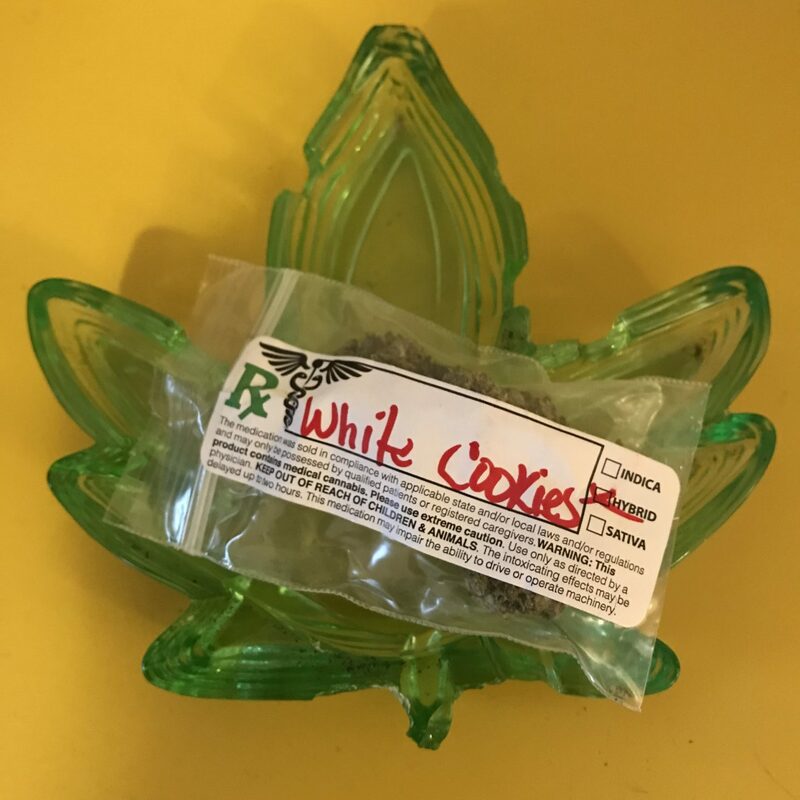 Strain - White Cookies - High. How Are You? ‘White Cookies’ is a strain I took a chance on since I already knew that I loved ‘Blue Cookies’ so much. It’s a sativa dominant hybrid between GSC and the ‘White Widow’ strain. White Cookies tasted just as sweet as GSC, but I feel like I also experienced a faint taste of honey which was fun! It’s supposed to help with chronic pain, which I do not currently have but I did notice a nice body high as well. I took a couple puffs off a j. and felt a bit hazy, but not in a way that made me feel stuck. Feel free to run errands after smoking White Cookies, just be sure to bring a to-do list!